Christmas Day is one week away and New Year's Day will shortly follow! 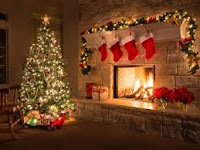 If you are going to be the host for the holidays, we have the BEST tips to prepare for your guests. The first thing to do is to clear out spaces, such as guest bedrooms, for those holiday guests. These rooms often end up as extra storage for unused items. 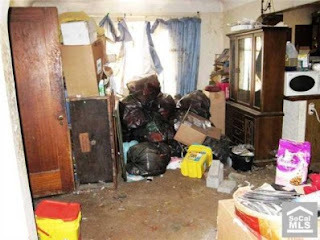 If guests will be staying with you, the guest or extra bedrooms should be cleared of that extra stuff. Space should be created for guests’ luggage, etc. And don’t forget the closets and bathrooms. 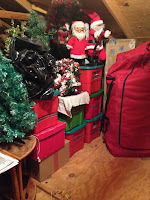 Unnecessary items can be gathered now for later sorting, then stored away in an area that won’t be used during the holidays. Once you have decluttered the space, you can now focus on the essential comforts for guests. You want your guests to feel as comfortable as they do in their own homes. This can be achieved with a few special touches. Extra blankets and pillows can be put in the closet. Lighting is also important for guests that may not familiar with navigation at night. Lamps in rooms and night lights, placed in hallways, can help with this. And with electronic devices being so much a part in everyday life, charging equipment for your guests, if forgotten, will be appreciated. The bathrooms should also be prepped for the guests’ comfort. Bath towels and soap should be easily accessible. Extra toiletries such as shampoo, toothbrushes, and hair dryer can be placed in the bathroom in case guests forgot to pack them. Providing a comfortable place to stay can make for the happiest of guests. A bit of preparation can extend that comfort throughout their stay. 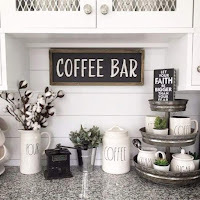 One suggestion is to prepare a coffee bar in the kitchen, ready to go each morning with mugs and other add-ins. This way, early birds can fix a cup and return to their rooms without having to go through cabinets. Another good idea is to having snacks on hand, ready to go at different times of the day. These snacks can be prepared a few days ahead, stored in serving bowls for quick serving. These tips will help your adult guests feel right at home but don’t forget about the younger guests. Children can bore easily, so having games on hand will help with that. So your holidays went perfectly and your guests left happy. Now is the time to go through the items you cleared out. You may suddenly realize most of the stuff you cleared out is not needed and you are enjoying the new look of those spaces. Ordering a roll-off dumpster will help clear those items up in one day. This is also the perfect time for the dumpster to do double duty. Any boxes, extra trash, and gift wrapping can be added to the bin for the quickest of cleanups! Our yards, gardens, and landscaping transition for Winter by mostly dying off. This is the perfect time to clean it up. 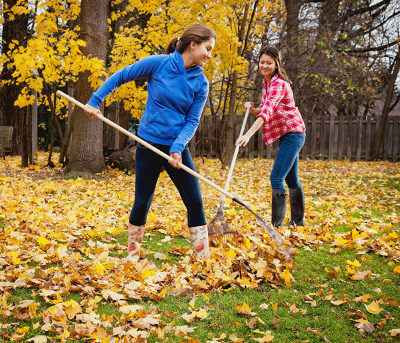 Clearing the dead vegetation, cut grass, and fallen leaves, will not only better the appearance of the home, but will also encourage healthy growth for Spring. And don’t forget the gutters! Any leaves stuck in the gutters could be disastrous for a home during Fall rains or Winter storms. 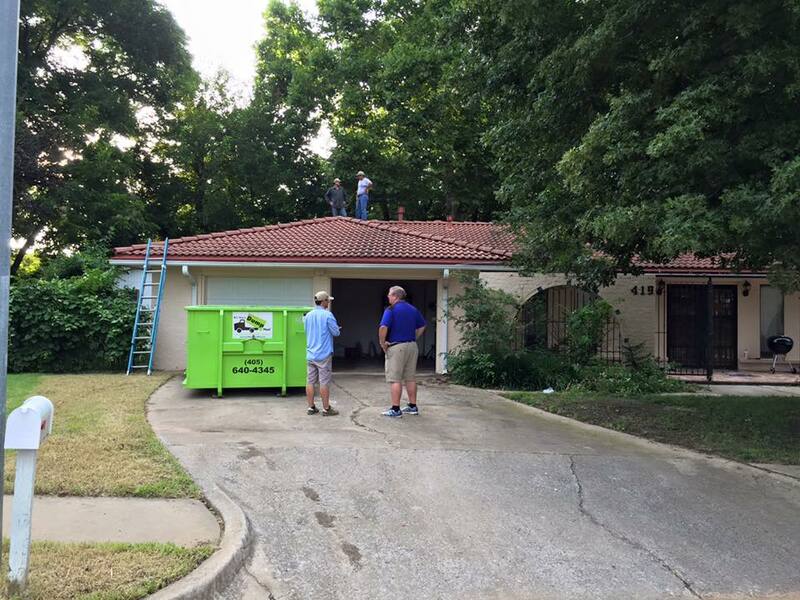 Avoid roof leaks and erosion damage by removing all debris from the gutters. Such a clearing of the yard will add up in lawn bags. A dumpster will accommodate those many bags where they can be disposed of quickly instead of spread out for weeks using your local trash service. Now is also the time to tackle those low hanging branches or changing out mulch. With 5 different sizes of roll-off dumpsters, the perfect size is available for smaller or large jobs. It’s the year to be the host for the holidays! 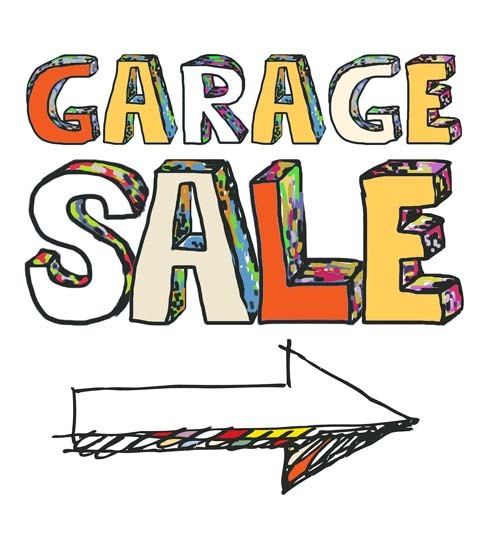 First, get ready for the family by clearing out the garage for extra parking. Next, clear space for overnight guests by disposing of extra stuff that has turned the guest room into a junk room. And while you’re getting ready to be the best host for the holidays, bring down those decorations from the attic. Go through all, getting rid of non-working lights and broken items. Is it time for a new tree? Dispose of the old one in your bin. With the kids back in school, bedrooms and playrooms can be tidied up and cleared out during Fall cleaning. 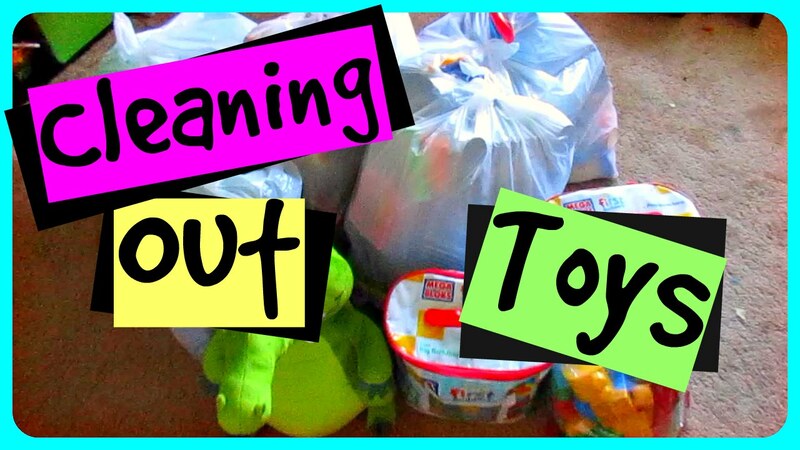 Broken toys and old clothes can be thrown out, making the most of the child’s space. And they don’t stay little forever, so out with the old. This could mean toys and rooms they’ve outgrown. Cribs, toddler beds, and playhouses are common for changing out. Maybe they have gone off to college. Is it the time to have that home office or gym you’ve wanted? A dumpster rental will help clear out that space quickly for the redesign. Just make sure the guest room is ready for when they do come home to visit! Have one or all of these projects on the “To Do” list? 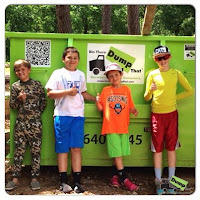 Give us a call to get a dumpster perfect for your needs and schedule. 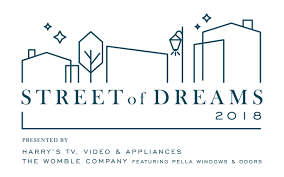 2018 Street Of Dreams Is Almost Here! Whether you are in the market for a new home or just want to see the new trends, Street of Dreams 2018 showcases the best of the best! Once again, Bin There Dump That is a proud sponsor of this amazing event. We want to share all the information with you so you can join us at the Street of Dreams! The featured homes range 4,000 to 5,000 square feet in size, with different styles from Tudor to contemporary. The latest technology will be highlighted in homes with programmable lighting, security, and even sound systems. Kitchens will be adorned with the top appliances and beautiful finishes such as marble. The master suites will feature luxurious bathrooms and grand closets. And outdoor space will be showcased with lake views and customized kitchens. These magnificent homes have been built by some of the most elite home builders in Oklahoma. Builders featured this year are Adams Kirby Homes, Gibbs-Hancock Luxury Estates, Integrity Fine Homes, Matteson Custom Homes, Massa Rossa Luxury Homes, McCaleb Homes, Ripple Creek Homes, and Tim Hughes Custom Homes. NE 150th St. 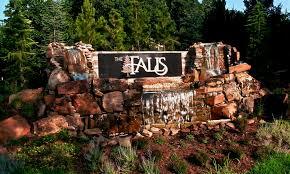 Turn east onto NE 150th St. to The Falls and Street of Dreams parking area. 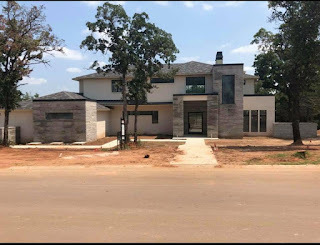 Along with the daily touring of these fabulous homes will be special events. A Family Fun Night will be on the 19th with extended hours until 9 p.m. 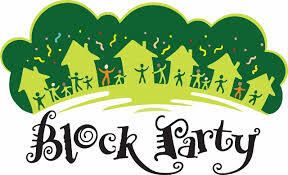 Families can also Trick-Or-Treat The Street on October 28th! Realtors will receive free admission on the 16th and 25th. On the 23rd, military, veterans, AND first responders will get in free. This year the Street of Dreams will run from October 13th until October 28th. The homes will be open to tour 1 p.m. to 7 p.m. Monday through Friday, and 10 a.m. to 7 p.m. Saturdays and Sundays. Homes will be open rain or shine and it is recommended to plan on a few hours to view all homes. To purchase tickets, go online to streetofdreamsok.com or into Harry’s TV Appliance for an advanced $20 single day ticket. Children 12 and under are free and $25 single day passes can be purchased on site until 6 p.m. daily. 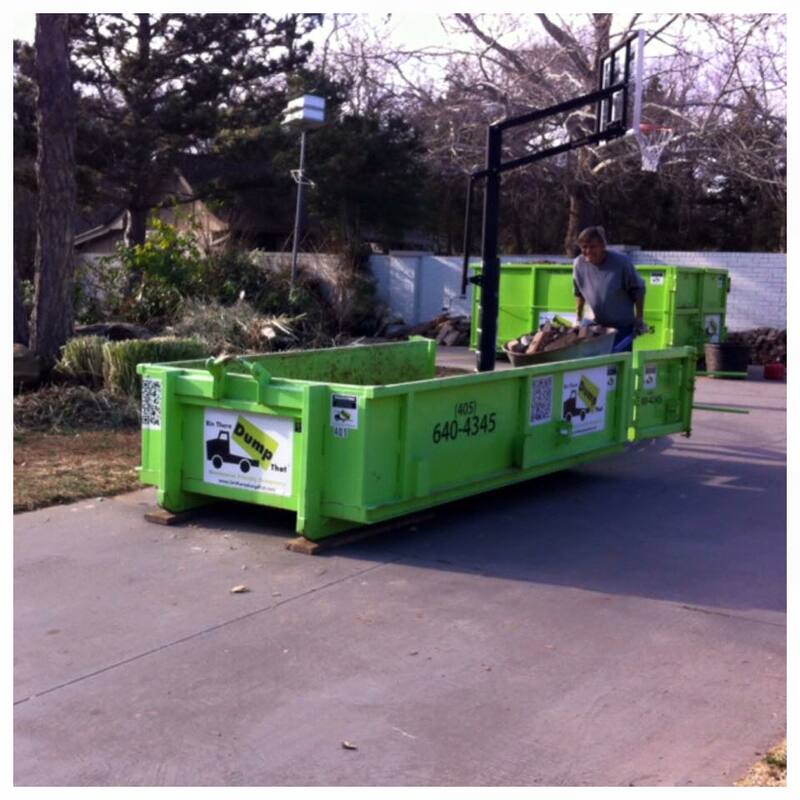 Roll-off dumpsters are the easy solution for all sorts of projects. From yard cleanup and junk clean out to remodeling jobs and moves, dumpsters help the task get done quickly. With so many options, our bins are tailored to your project. So, what’s next? Ordering is simple and we can help you with all the questions you have, making your project even easier to accomplish! Here are a few of the frequently asked questions to help you get started. Very often we are asked if certain items can be included in the bins. Of course, hazardous materials such as oils, gasoline, or acids which include car batteries, are not allowed. Asbestos and medical waste are also not allowed. But if you have electronics, or what is referred to as e-waste, it CAN be included in your bin. Bin There Dump That also can take mattresses and grills, items that are not usually accepted by others. And as one of the very few operators that do take refrigerators, go ahead and add that too to your dumpster. We only ask that it be empty of food and loaded last by our convenient double doors in the rear of our bins. How Long Do We Have The Dumpster? 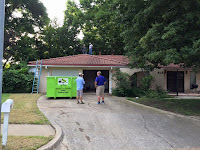 Our rentals include up to 10 days to help a project get done. 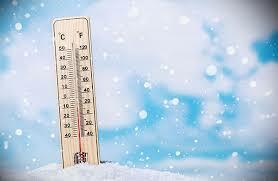 We understand things may get in the way of project completion, such as weather or work schedules. 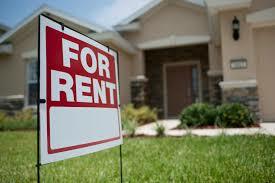 Our 10 day rentals accommodate for such delays with more days included than other rental companies. The 10 day rental period can include 2 weekends for working individuals that turn into weekend DIY warriors. This length of time helps most of our customers with plenty of time, but you do have the option of extending the rental for a daily fee if more time is needed. What If We Need Another Dumpster? We will fit the best size dumpster for your project and budget. Sometimes though, another dumpster might be needed to finish the job. Even with the best intentions of matching your needs to the best size of dumpster, often more stuff is realized that you want to add to the bin. The ease of the process makes this happen a lot with the great feeling of a cleaned up area or home, so customers will find more stuff than they originally planned! We KNOW this freeing sense comes with our dumpsters, so if you need to order another bin, we can pick up the full one and replace with a new empty bin. The price will be the same as your first rental and include 10 more days! If the size you ordered the first time, may be too large for leftover items, let us know and we will fix you up with a smaller size. With 5 different sizes, we can help with small or larger projects. Give us a call today. Even if you are just curious about rental options, we are here to answer all of your questions. You have a remodel project or you’re wanting to clean up your home inside and out. The job is too large for your trash cans. 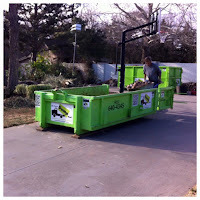 What to do next, rent a roll off dumpster or haul the materials yourself to the local landfill? Consider the following when deciding which would be best for your project. To haul or not to haul...that is the question! Taking care of your project by collecting the debris and piling onto a trailer or into a truck bed might be an option for you, but some landfills do not allow all materials you might want to get rid of. 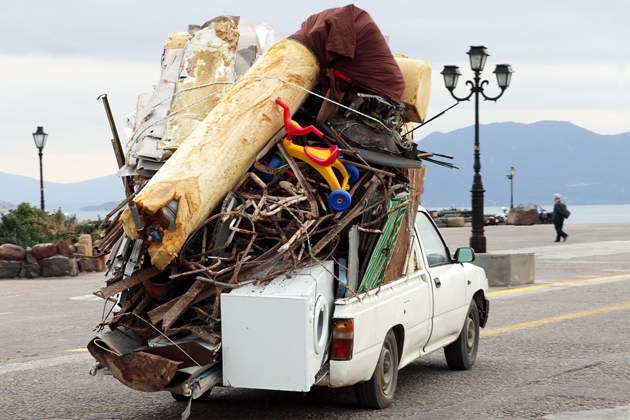 Before opting for hauling it yourself, make sure your local dump accepts all materials you want to include. Some items a city landfill might not take are shingles, dirt, rock, brick, and appliances. This could result in you hauling different materials to different locations for proper disposal. Bin There Dump That accepts ALL of these materials, making it easier for you. It is important to determine the cost of hauling vs a roll off dumpster rental when deciding which route to go with your project. The dump that you decide to use for disposal of materials may charge an amount per pound of weight or it may charge a fee up to a certain weight, then money for each pound of debris over that amount. Another method used is charging by each load. The exact charge of your disposal fee will not be known until you are at the landfill and they weigh the load. Bin There Dump That will include the dump fee with your rental, making costs known upfront. This assists budget planning for any project. Besides multiple loads of debris adding up with disposal fees, fuel will also be used. Along with the costs, is the time spent. 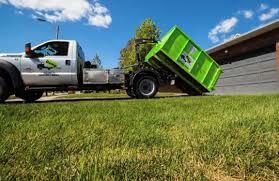 One 10 yd dumpster rental could equal up to 4 pickup loads, saving you multiple trips to the landfill. And if the closest dump isn’t actually close, the cost of transporting it yourself will be much more than with a roll off dumpster. The convenience of a roll off dumpster also includes no interruption of the project due to having to haul off and empty truck or trailer before starting again. Depending on your project size, and transportation options available, a roll off dumpster can be the smartest decision with cost and convenience. Call us today to price your project! 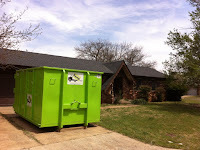 There are many reasons to rent a roll-off dumpster from small cleanups and remodels, to new construction. Whether there is a need because of moving or just to dispose of unused items, a dumpster makes each project go more smoothly. These are the tips for making the rental go smoothly as well. 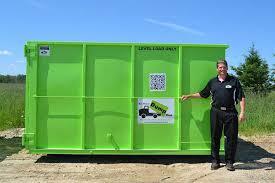 Dumpster rental companies, like most businesses, are rated and reviewed on many online sites. These reviews can be found during Google searches, on trusted service sharing sites such as Angie’s List, and even on social media sites like Facebook. First, go beyond the rating and read the reviews. It’s important to see what customers shared about the experience. 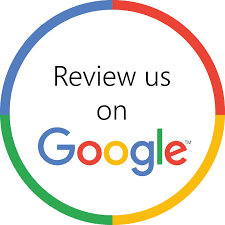 Next, visit other review sites to make sure there is consistency. Does the Google rating mirror the Facebook rating? If you don’t have friends or family with recommendations, online reviews can be a terrific resource for information and peace of mind! No one appreciates unwelcome surprises. The goal is to make your project easy! When ordering, ask if delivery, pick up, and taxes are included. What is the dump fee? Is it included in the rate or is it extra? How many days are included? Knowing what you have as contents will also help to determine an upfront rate with no surprises later. By discussing your dumpster needs with the company, you will learn what is allowed and what isn’t allowed to dump. Of course, hazardous materials are not allowed. But ask if you have any concerns about what you want to dispose. You might be surprised what IS allowed, like e-waste! 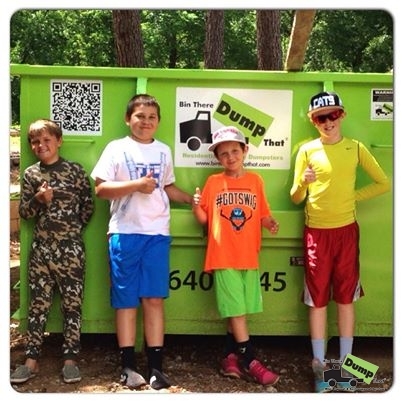 Dumpsters are the convenient way to get rid of unwanted junk, building materials, etc. The dumpsters are taken to city dumps and must be transported safely as to not hurt any other motorists. It is important to discuss this process with the company, avoiding any unsafe overfills. And there is nothing easier than keeping on schedule by arriving to a bin at your home or job site, all ready to go! Plan this easily with knowing the perfect spot for your dumpster. Will you need it by the garage or even more specifically, a particular side of the driveway? Are there gate codes to your neighborhood or is there a carport? Mentioning these during your ordering will help the delivery expert in placing your bin perfectly. Spring is almost here and it is the time for extensive cleaning or clearing out. This also can be a time to give the home a makeover. From different colors to lighter materials, the home can reflect the new season. And this year is bringing trends that can be easily added to existing design without a complete overhaul and without breaking the bank. Neutrals have been popular for quite some time. But this year will see the embracing of warmer and bolder hues. Some describe a jewel palette, while others say these colors can be straight from the garden. In the 1960s and 1970s, yellow and green were on trend from wallpaper to appliances. These two are making a comeback with brighter versions. Also...red, purple, and blue are encouraged. 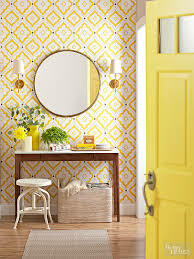 Along with the bold color, bold patterns are showing up this year. Mainly…strong, geometrical shapes. To update your home’s look for Spring while welcoming 2018 trends, consider changing out bedding and opting for brighter choices, adding some pillows with strong patterns. Older window treatments can be switched out for less heavy versions, along with changing shower curtains. And toss the old throw pillows throughout the home and add the new Spring look. And don’t forget the throw rugs and towels. 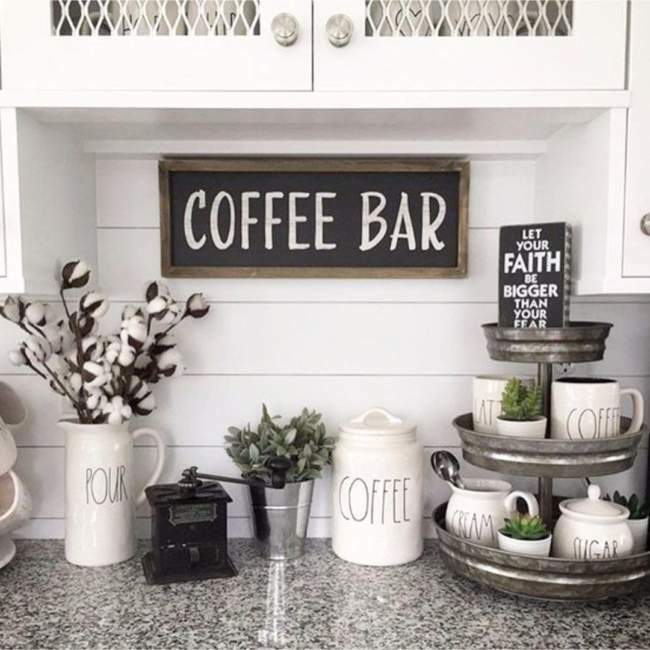 Updating these small items are budget friendly while giving a different look. Metallic accents are big this year. Hardware may have gone away from chrome, but rose gold, gold, and copper are replacing it. Besides hardware of cabinets and plumbing, metallic accents can be added with knick knacks, mirrors, or fixtures. Also, lighting fixtures are becoming their own focus. Vintage look and artisan lighting will be center stage. 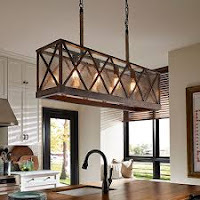 As much as favorite wall art, the lighting fixture can be a statement piece in the room. The only limit is imagination. What better way to enjoy Spring by updating the outside living space? New, bright cushions on outdoor furniture help with a quick spring makeover. 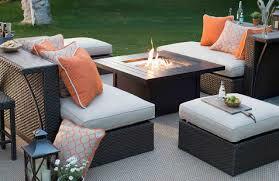 If you aren’t ready to go with bold color inside the home, outdoors is the place to have fun with this trend. And indoor furniture is making a BIG change with lines. Curves are replacing the traditional square, rectangle, or straight line. It’s time for asymmetry and a mixture of different eras. A Spring makeover added to Spring cleaning can update the home with a new look! The holidays are over but the cold weather is still here. Now is a great time to tackle some indoor projects! Try these 4 indoor projects when it’s cold outside. As the smaller rooms of a home, storage can be a problem in a bathroom. Adding shelves, wall, or standalone cabinets can remedy this with fairly simple installation. And home spas are all the rage right now. Switching out old tubs for soaking or jetted tubs may not be a DIY project, but well worth the investment! If your space doesn’t allow for a bathtub, try changing out your shower head with a specialty one. The kitchen becomes outdated faster than any other room of a home. This happens because trends change quickly affecting the whole room, from appliances to cabinets and counters. It may be one of the more costly remodels, but an updated kitchen is still the best return on investment with resale. There are things you can do to help with the cost however. Consider buying your appliances in a package from the same store. The store may work with you if you purchase it all in one place. Another option is painting the cabinets instead of replacing. A professional can do this at a fraction of the cost of new cabinets. 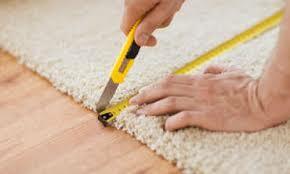 Carpet has a very limited lifetime due to everyday wear. 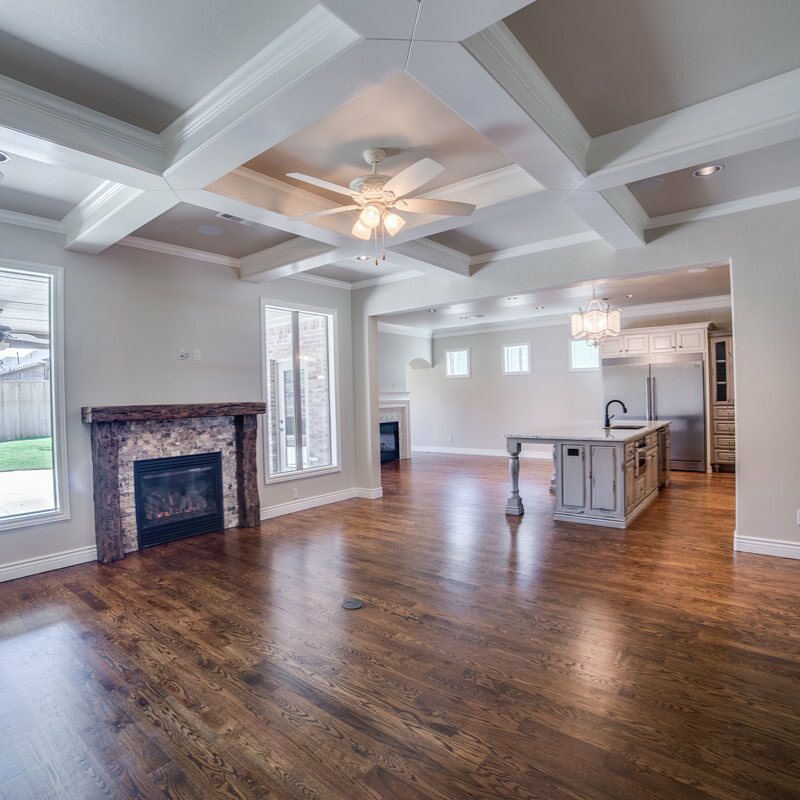 A project many homeowners are tackling themselves, is replacing carpet with other materials, such as wood or even tile that looks like wood. There are even laminates that help with the budget. 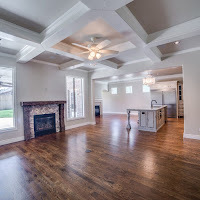 Whether you want to eliminate carpet everywhere, or even in certain high traffic areas, the options for flooring are so extensive now, this could be the most fun of projects! Working in the attic may not be the warner choice, but it’s the perfect reminder about energy efficiency. Such barriers as attic insulation can improve the heating and cooling of a home. Just like with other areas of the home, products such as insulation have improved over the years. Clearing out the old insulation and replacing with a better product, will help with comfort and also with utility costs. If you do these projects yourself or have a professional’s help, reserve one of our bins to help with cleanup. We are here to help with your home year round!